I usually save showing you my new model photographs for the end of the year. Let’s try something different. Here are my best new pictures from January and February 2019. Seven model photographs have made the cut. As with all my best pictures, these were fun to stage, and then to process in Photoshop. 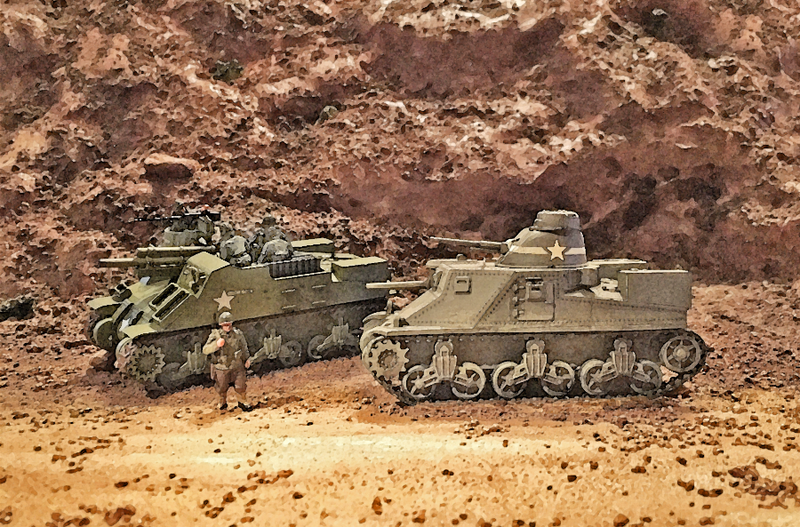 These models are 1/72 scale and are part of my permanent collection of 600 tanks and 150 planes. Thank you for looking and I hope you enjoy the scenes! Presented in the order they were made. 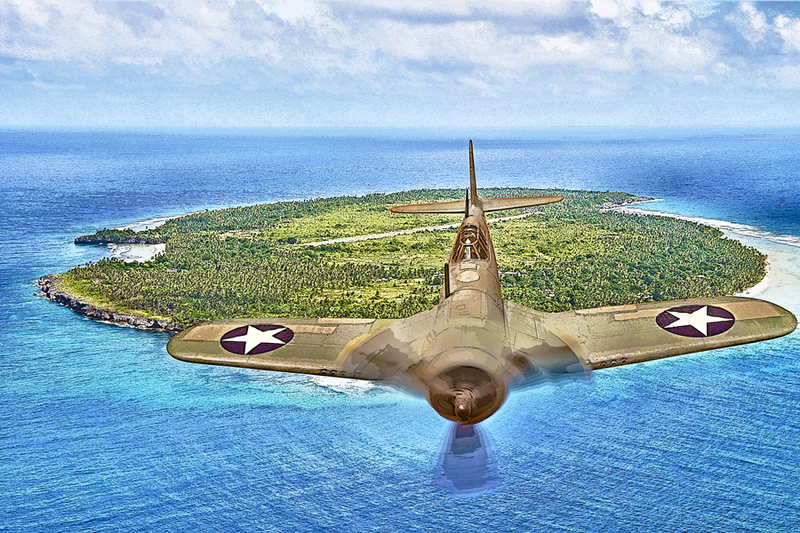 Corsair over the Solomon Islands, early 1943. 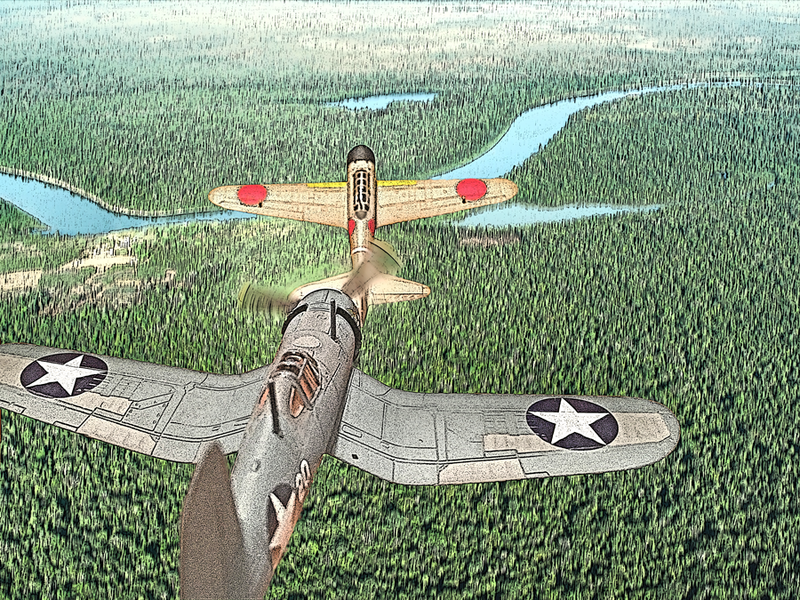 Corsair chases Zero over Guadalcanal island, 1943. StuG III crosses a Soviet poppy field, 1943. General Lee tank tackles the rough Tunisian terrain, 1943. M3 and M7, with soldier and gun crew, Tunisia 1943. 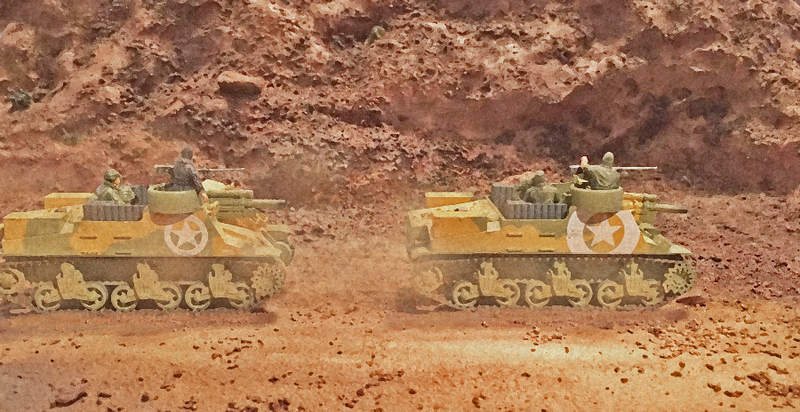 Two M7s race through Italy, 1943. This entry was posted in History, The Literate War, WWII. Bookmark the permalink. Thank you! More will be coming.